Perfect for every level of diver, Viva Shallows offers a place to practice skills, perfect buoyancy, and discover some of the best diving Bayahibe has to offer. 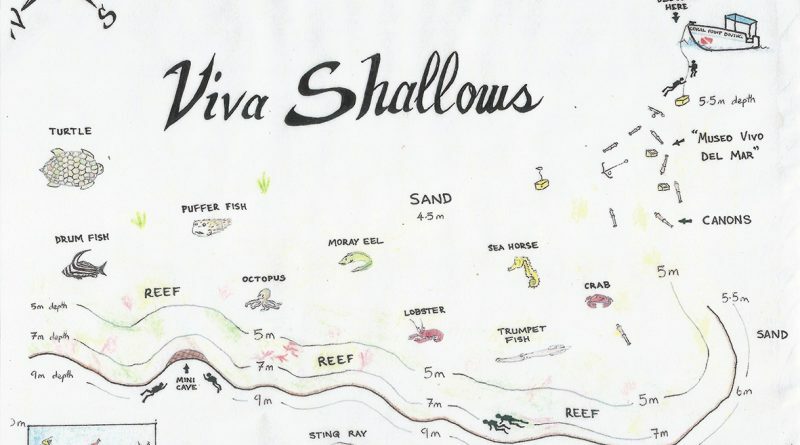 Sitting just off shore and only minutes away, Viva Shallows is a magical site filled with wonders to discover. The small, 3 meter high wall and the reef top offer many holes perfect to offer a safe hide away for animals small and large. 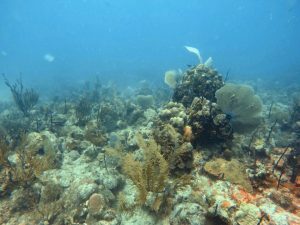 Sandy bottom next to the reef invites rays and manatees to come in close, as well. Descending down the buoy line to the bottom 5 meters away, you will see the living museum. 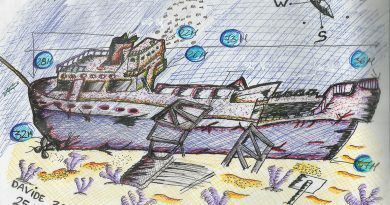 In the shallow, Spanish cannons sit and form an artificial reef. Whilst diving amongst the cannons, you can read about their history and feel the weight of the cannon balls used at the time. Seahorses seek solace here and are seen with their tails wrapped around the sponges. Heading down the wall to a maximum depth of 9 meters, Gorgonian fan and other healthy corals give this wall the feeling you are swimming through an aquarium. 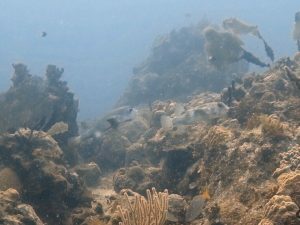 The wall itself hides lobsters and eels; it also is home to many spotted stingrays and porcupine fish. Visibility can be as far as 20 meters, making it an ideal location to catch glimpses off in the distance. Looking out towards the sand can also bring luck in the way of larger rays and manatees. 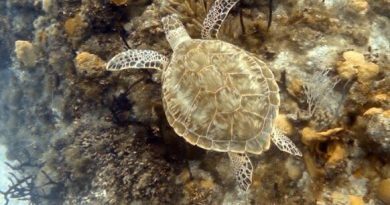 The reef top sits in about 5 meters of water and is a great place for baby animals. 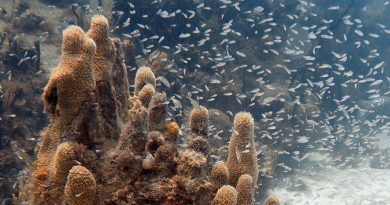 Making way back towards the museum, baby box fish can be found hiding in the rocks as drum fish maneuver their way amongst the corals. If there ever is any current encountered at this site is extremely light and simply aids in an easy return trip back to the boat. ← How to prepare and what to study for the IDC?